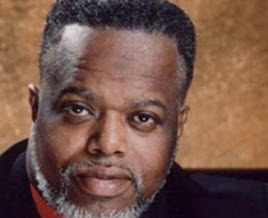 The Godfather of Gospel Music, the late Reverend Timothy Wright organized the Timothy Wright Concert Choir in 1976. For some 2 decades, the choir set a standard for “Sing on Sunday Morning Music” releasing chart topping hits that included Who’s on the Lord’s Side, Testify, Jesus Will, Let Us All Go Back and others. Continuing to build upon the strong foundation laid by his father, Pastor David Wright will bring together the famed choir on the day after what would have been his Dad’s 69th birthday for a reunion and live recording on Saturday, June 18th at the Christ Fellowship Church in Brooklyn, New York. This entry was posted on Saturday, June 18th, 2016 at 12:18 pm	and is filed under Artist News and Updates, Recording Events. You can follow any responses to this entry through the RSS 2.0 feed. Both comments and pings are currently closed.